Great holiday. Friendly staff. A very pleasent two weeks in May. Top tip for hot water, le it run for a while. Just stayed here for a week, reception staff very good room cleaned daily. End of season now so there was no pool bar or mini market and the weather not too good so didn't go in the pool. Just got back 27th June from another great 2 weeks at Hotel Petros,4th time there in 3 years.The place is really so laid back, no getting up at the crack of dawn to grab a sunbed,rooms cleaned and towels changed every day. Everyone is so kind and they can't do enough for you, from Marta in reception,Takis in the shop,and Stefanos in the bar, he really is a great guy,even more so when you understand his sense of humour. 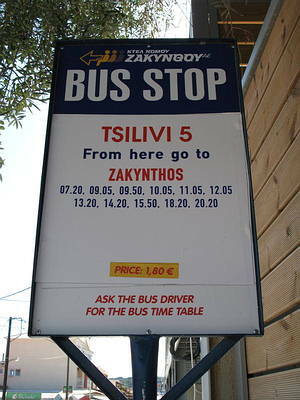 The Hotel Petros is only a 5 to 10 minute walk into Tsilivi,depends on how fast you like to walk!! and if you have never been to Zante before i would highly recommend it 10 out of 10, but for your meals or snacks through the day you need go no further than the pool bar,great food at reasonable prices,and good portions. Would like to say hi to Julie (mo&jufuntime) guess you will be back home now it was really nice to meet you, had a few laughs at the bar!!! How many bottles did you get through!! and did you finally win at chess!! Me and Lynn will probably see you next year, don't know about John and Lorraine and don't forget September 13th(Liverpool home win) !!! This is the 2nd time we have stayed at this hotel and we wouldnt dream of staying anywhere else! All the staff remembered us from 2 years ago which shows how friendly they are. The rooms were cleaned daily and towels I think was every 2 days. The bar served nice quick food and stayed open until 2am. Again, there were always enough sunbeds for eveyone. Hotel is about 10 minute walk into centre of tslivi or 20 if you want 2 go further but we never did! I would definitely go back to this hotel again. Did not have 1 problem with it! We stayed at the Petros in May 2007 and had a fab time, in fact so much so that we have booked to go back in June this year. As for the Bar manager Stefanos, he is not rude, its just his way - but I am sure he would not knowingly offend anyone!!! His shots are legendary. The hotel was very clean and the beds were changed every day along with the towels. A holiday is what you make it !!!! We have just come back from a week at the hotel petros and found it to be the worst hotel that we have ever stayed in. Firstly beacuse it is the supposed "end of the season" the staff (or lack of) at petros felt none of the guests would be thirsty or hungry and closed the snack bar. We had a full week of no hot food, stale bread and hard peaches for breakfast. We did get a toasted ham and cheese sandwich one afternoon unfortunatly it had been cooked in a dirty toaster...I was so hungry that I just picked off the crunchy black bits and ate it anyway. The smell of smoke gave the hotel a wonderful atmosphere, it seemed that the receptionist was smoking for the Guinness Book of records. We were lucky enough to get hot water 3 of the 7 days we were there, thankfully though we were on the top floor and didn't have to share our precious hot water with the local ants which had taken up residency on the ground floor. We were so happy that we didn't pay for the aircon system at the hotel as it was not dual output and only offered cold air. Amidst the tropical storm and high winds we were greatful for the stained top sheet and thin blanket supplied. My personal favourite staff member was the lovey breakfast lady/cleaner. It was so nice knowing she was handling our stale bread every morning before emptying our rubbish bins. Its just a shame she was not supplied gloves for either job. We would NOT recommend this hotel....maybe we have just had bad luck, wrong timing etc or maybe this is the latest trend either way we are not happy. We just got back from Petros Hotel after spending 2 weeks there with the most unsociable staff.... .Room was OK but I thought they had a cheek to ask for 50 euros for the use of a very small mini fridge which was already in the room but under lock and key...Bad enough paying for the air con and safe so we decided not to pay only to keep water in.......Also never even offered us a drink in all the 2 weeks from any of the staff...Unusual for Greece as our other landlords in the past were very kind and hospitable..Won't be going back there to Petros especially after I ordered lunch from the pool bar and the barman told me to wait there as it was not his job to serve meals by the pool although it was the same distance to walk to the tables.......Never again!!!! We've just got back after a week and found that this was a great hotel, it was very clean and had very friendly and helpful staff (exactly like the website). Only about 10-15mins walk into town, where there are loads of bars, resturaunts, and shops. 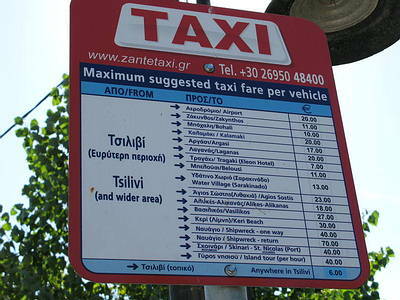 Only 15mins max from the airport and about 15Euro in a taxi (much cheaper than transfers). Only down side was that there is an extra cost for the safe, air conditioning and fridge in the rooms (approx �50 per week for all three). Which I suppose wouldn't be an issue if we were aware that these would not be included in the price before we got there. All in all a highly recommended hotel for couples and families alike and you must visit Calypso and Sweet Taste (they made our holiday, great food and great cocktails (B52)! staff were all fine . It was not a long walk into town 10 to 15 minutes at the most. 6th Holiday at Petros everything as it should be on holiday sun, lovely pool plenty of sunbeds hotel clean maid every day, linen changed every day. Friendly staff and now an addition for Mary Spiros and Pedro a baby girl. We look forward to many moore fun and relaxing times at Petros. stayed at hotel petros for 2weeks in june and we loved it. the first night wen we decided 2 take a trip down into the centre of town it seems far away but its not at all prob about a 10min walk and if ur feeling lazy a taxi will cost u 5euros. all the staff were very friendly, the rooms were cleaned everyday with new towels and bedding. we only had the b/fast once as we werent up b4 12 most days but it was ok nothing special. the main road was a bit noisy but with the balcony doors shut u can hear anything and if there is any noise at night time coming from the bar which we never had while we were there then all u have 2 do is mention it 2 the reception and they wil sort it out 4u. i loved it at hotel petros and wud go bk again! returned from hotel petros 3 weeks ago . we loved tsilivi but wouldn't return to the petros.we didn.t find the management very friendly at all..There was one receptionist who was lovely though. It may of been because we was out most of the time didn't really use the pool or bar prefering the beach.It did get quite hostile towards the end of our week which nearly spoilt my hol. However I loved Tsilivi that much that l am returning for two weeks in August. This time we are staying at the admiral apartments. Just got back from a week in Tsilivi staying at the hotel Petros. The 15 minute walk into the centre of town was all right the first 3 days at twice a day, but after that we were finding it a bit far out of town. Our room was clean and spacious but the balcony never got any sun. All the staff were very friendly and helpful once you got Stephanos sense humour at the pool bar. We now that Greek breakfast is basic but this was the worst yet. Tisilivi is definitely the best resort, but hire a car to get the best out of the lovely <?xml:namespace prefix = st1 ns = "urn:schemas-microsoft-com:office:smarttags" />island of Zante. Just arrived back from Zante after staying at the Hotel Petros and we absolutely loved it!! Everyone of the staff was more than happy to ensure we had a pleasurable holiday,especially Marta on reception who was always pleasant and cheerful. Rooms were lovely and clean,as was the pool,absolutely no faults with the hotel. Breakfast was basic but adequate,snacks at the bar pool were very good and reasonably priced.All in all,a fab holiday and would definitely return!! We have just returned from two excellent weeks at Hotel Petros. The location of the hotel is superb and it is ideally situated just outside the centre. The staff are all wonderful, friendly and very helpful. The Pool is superb and there were no shortages of sunbeds etc. All in all an absolutely brilliant hotel and resort. Never been to Zante before but will definitely go again. Certainly stay at this hotel too. We have just spent 2 excellent weeks at Petros and are now home planning next years trip. We hired a car and spent 4 day exploring the island, by far the best way to get about. Don't like passing comment on people but I think most people have got Stephanos sussed. Other than that we can't fault the place. Our 5 year old son cried when we were going home, he thought the pool and the beaches were that good. Full compliments would have to go to Zazoola (sure the spelling isnt correct but thats how it sounds) on evening Reception, she's great. Just returned from our second year at Petros - as good as ever. Stephanos is still an acquired taste. The family are very friendly - the rooms are spotlessly clean and very comfortable. We booked direct this year and saved loads. The hotel is family run and they are really nice, baby Petros has grown into a real cutie. I would definatly recommend this hotel to my friends and family. We booked the hotel directly this year and saved a lot of money. Here are some Pictures taken July 2005. We were extremely happy with Hotel Petros - it is very clean, the staff are friendly and are also very helpful and it's in a quiet location. Hotel bar is good fun and Stephenois is a treat!! The bar never seemed to be closed! The shopkeeper next door is also good value and is always keen to teach you a Greek word or two! !